Happy Friday! I don't know about you, but for me this week has felt several years long. I'm so glad it's almost over! I am working on a post for a new collection launching tonight but, in the meantime, I just have a quick NOTD post for the mani I wore last weekend. Coming Soon: The 31 Day Challenge! 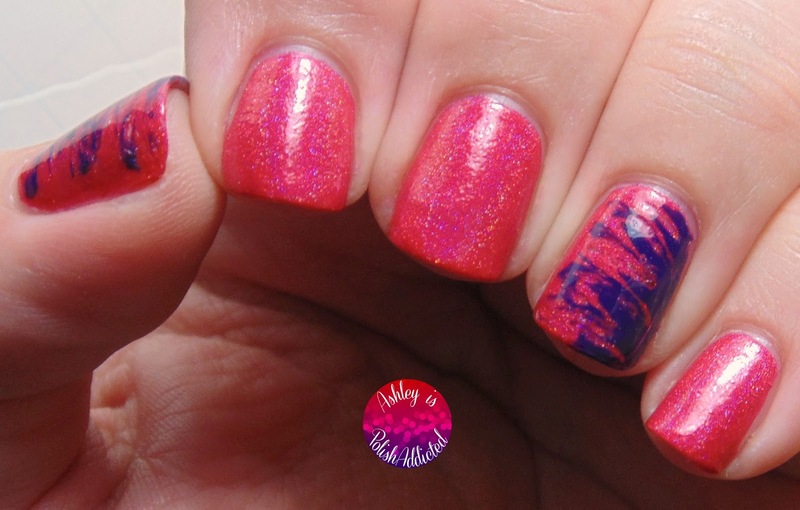 If you've been around the nail community very long you probably know what the 31 Day Challenge is, but in case you don't, it's a 31 day challenge (obviously) that has a new prompt for nail art every day. The first time I saw this challenge was in 2011. I was already friends with Sarah (Chalkboard Nails) and Jacki (Adventures in Acetone) and watched them complete it and it is part of what inspired me to create my blog in October of 2011. I completed the challenge in 2012 and felt a great sense of accomplishment and felt like I grew a lot in my nail art skills. I skipped the challenge in 2013 because I felt like I was too busy but I have regretted not taking part last year. It's no secret that my posting has been pretty sporadic lately. Life has been getting in the way and I put my blog on the back burner a bit. But I have missed posting regularly, and I have especially missed nail art. So, I have decided I am going to complete the 31 Day Challenge this year! Part of me says I am absolutely out of my mind, but I am so excited! I hope many of you decide to participate as well! 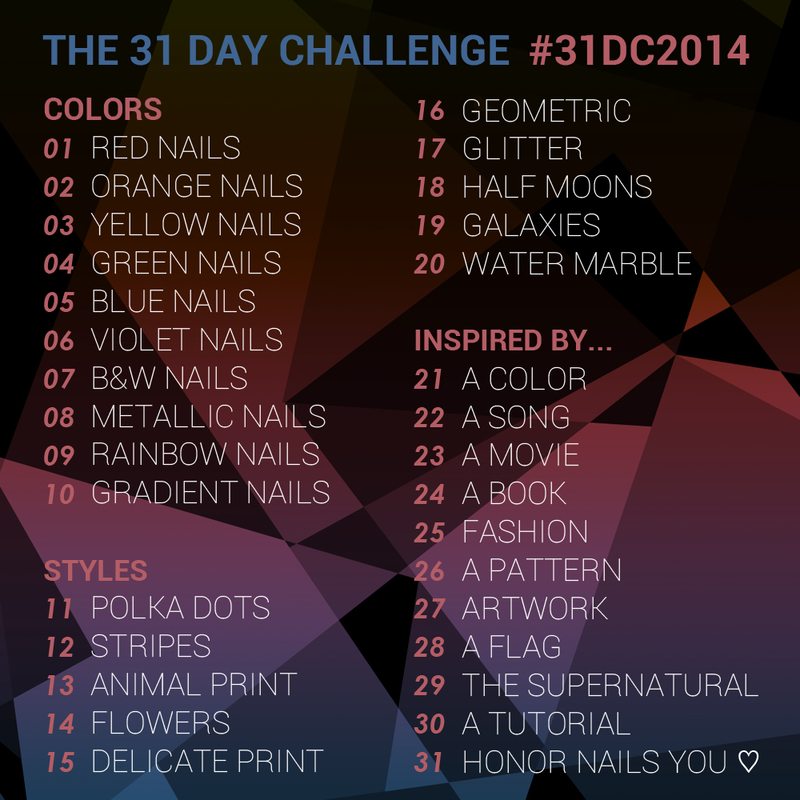 If you would like to participate, simply hashtag your manis on social media each day with #31DC2014. 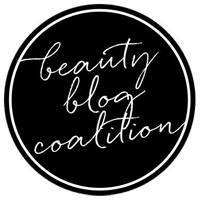 If you would like to know more about the challenge you can visit Chalkboard Nails' post. It starts September 1st. I am getting my imagination going already! have lost of goodies to show you from Darling Diva over the next few days so stay tuned for that!) that is available exclusively at Llarowe. This is the Shades of a Diva Collection. This is a 12 polish collection and I am showing you 5 today, the glitters. I will have the holos for you in a separate post soon! Happy Friday everyone! 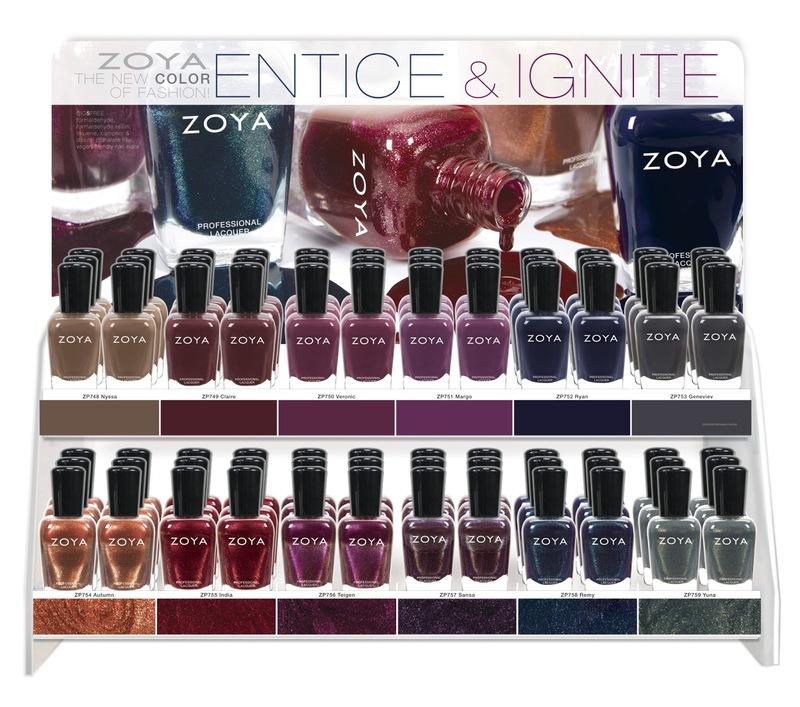 Today I have the Entice Collection from Zoya. 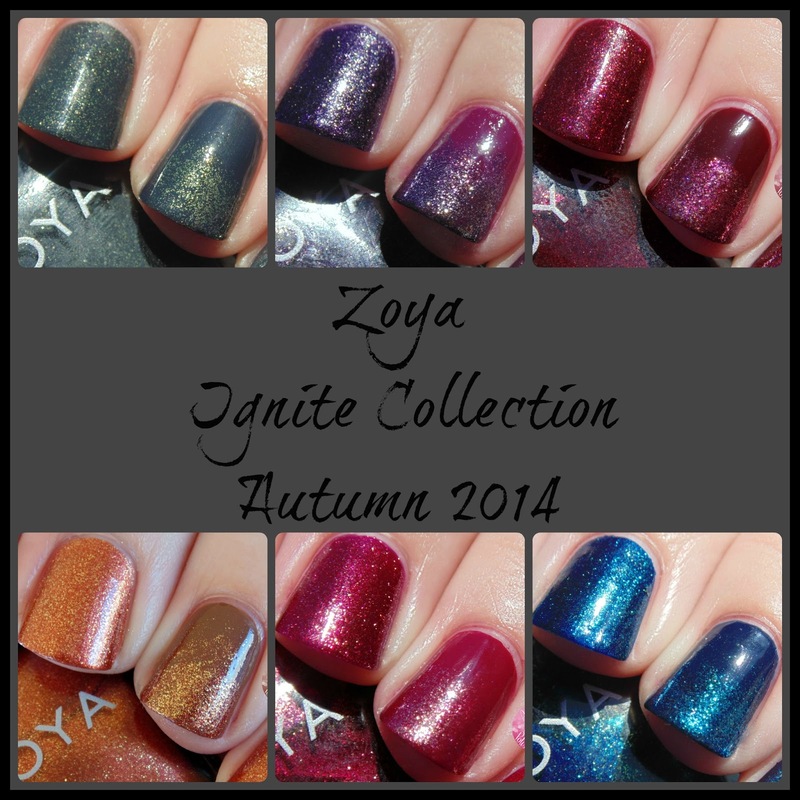 I showed you the shimmer half of the Autumn release, the Ignite Collection, yesterday (my post can be found here if you missed it). This is the creme collection! Good evening! It has been a long week and I have been sick for the majority of it. I'm still not 100% but I am so much better than I was and I am so excited to show you the nail art I created nearly a week ago! 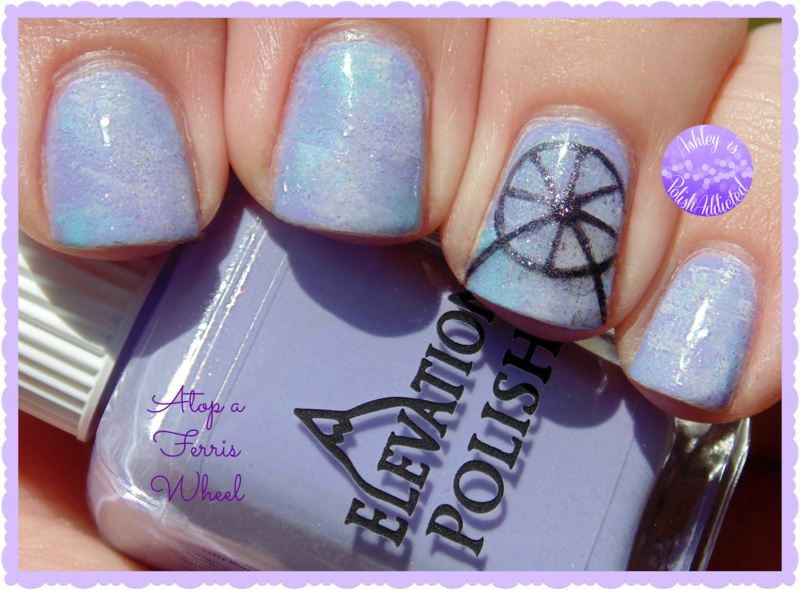 I received Elevation Polish Atop a Ferris Wheel (from July's A Box, Indied) in a swap and couldn't wait to create some nail art inspired by it! 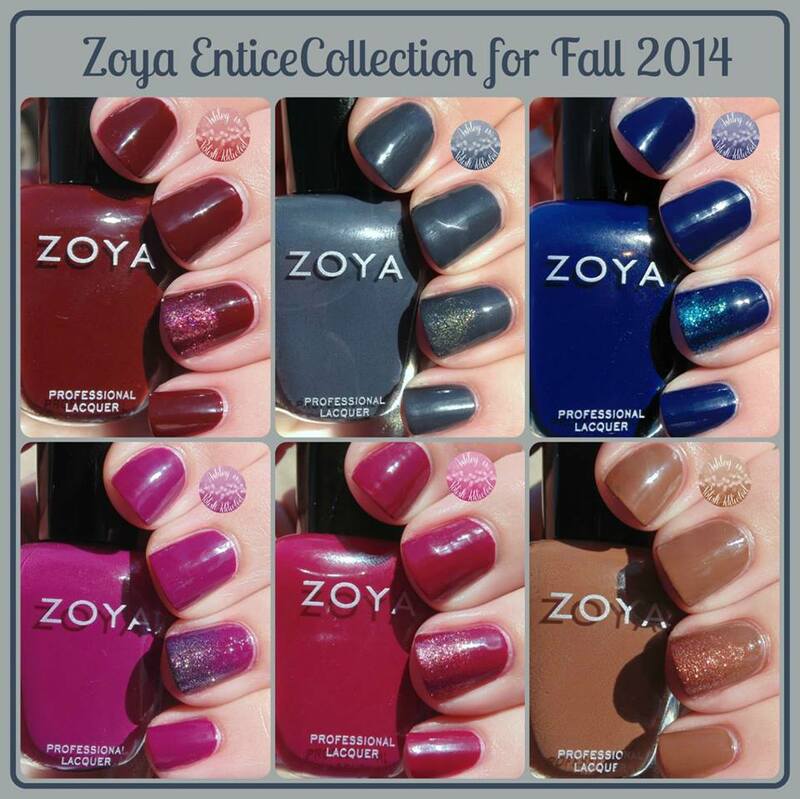 Who's ready for two new gorgeous collections from Zoya for Fall? I know I am! 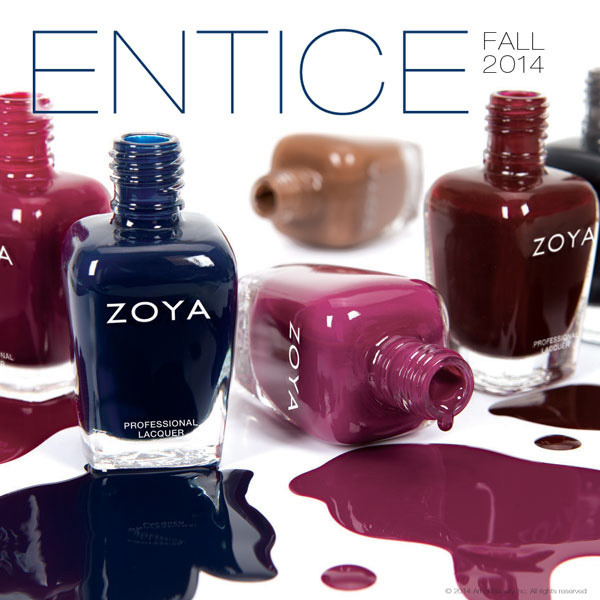 ENTICE & IGNITE collections create a palette of lush, deep color including wines, browns, navies and greys. Entice is the creme half of the collections and the one I am most excited about! You know I love my cremes! 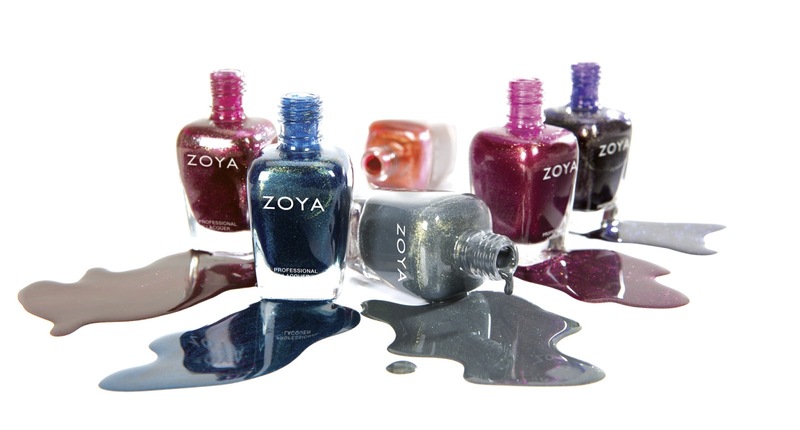 Zoya ENTICE delivers six new, glossy, intensely pigmented, full-coverage cream colors. ZP748 ­ Nyssa: Milk Chocolate Brown, Full-Coverage Formula. ZP749 ­ Claire: Rich Burgundy, Full-Coverage Formula. ZP750 ­ Veronica: Brilliant Wine, Full-Coverage Formula. ZP751 ­ Margo: Red Plum, Full-Coverage Formula. ZP752 ­ Ryan: Classic Indigo, Full-Coverage Formula. ZP753 ­ Genevieve: Leather Grey, Full-Coverage Formula. 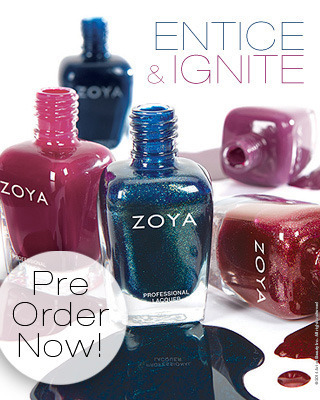 Ignite consists of six shimmers and these look so stunning! 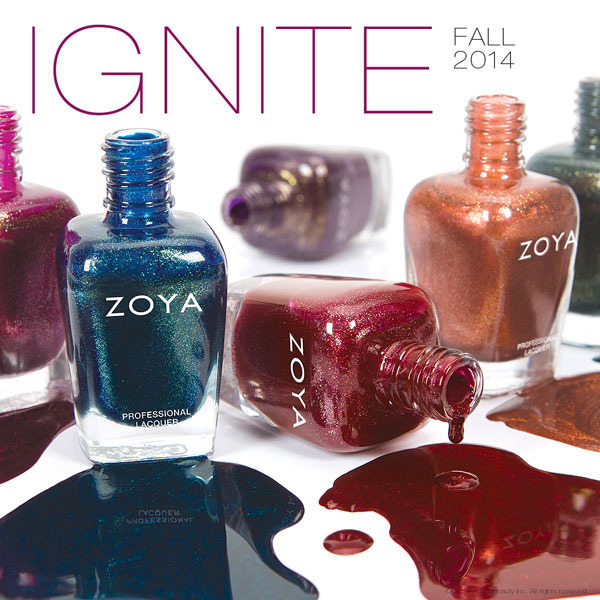 Zoya IGNITE offers a six shimmering red, gold, copper and purple liquid metal metallics. ZP754 ­ Autumn: Varnished Copper Liquid Metal. ZP755 ­ India: Deep Red Gold Liquid Metal. ZP756 ­ Teigen: Violet Plum with Copper Liquid Metal. ZP757 ­ Sansa: Deepest Eggplant with Gold Liquid Metal. ZP758 ­ Remy: Indigo with Copper & Gold Liquid Metal. ZP759­ Yuna: Grey with Copper & Gold Liquid Metal. Which ones are you most excited about? $9 (US) Available on Zoya.com and at finer salons and spas. *BIG5FREE: Formula contains no formaldehyde, formaldehyde resin, dibutyl phthalate, toluene or camphor. Happy Friday! To kick off the end of the week I have a polish I recently purchased and I am in love with! 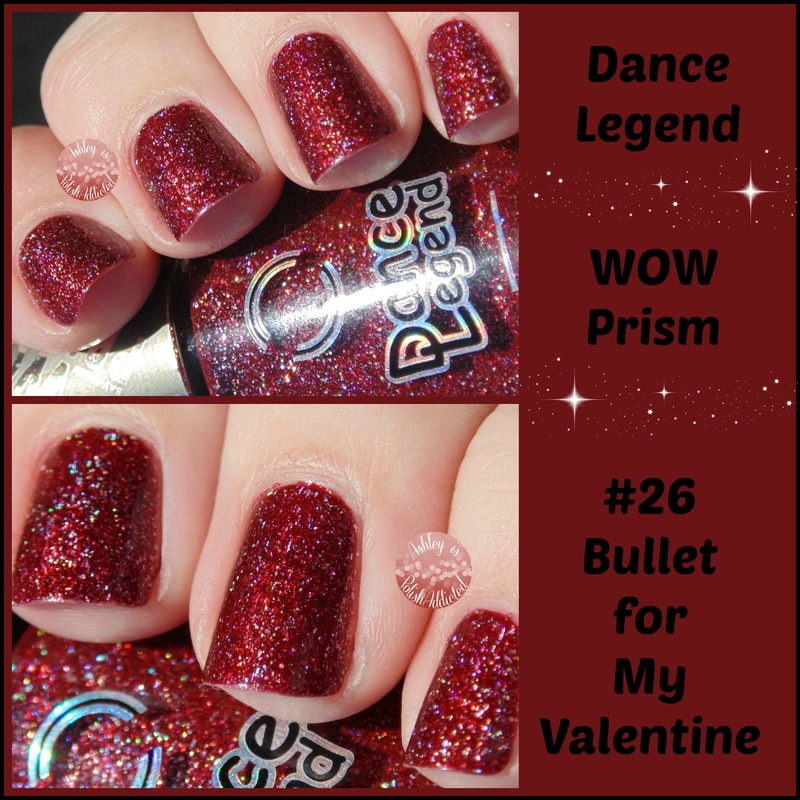 Dance Legend's WOW Prisms are some of the most gorgeous polishes you will ever lay your eyes on and this one is no exception! Happy Friday! 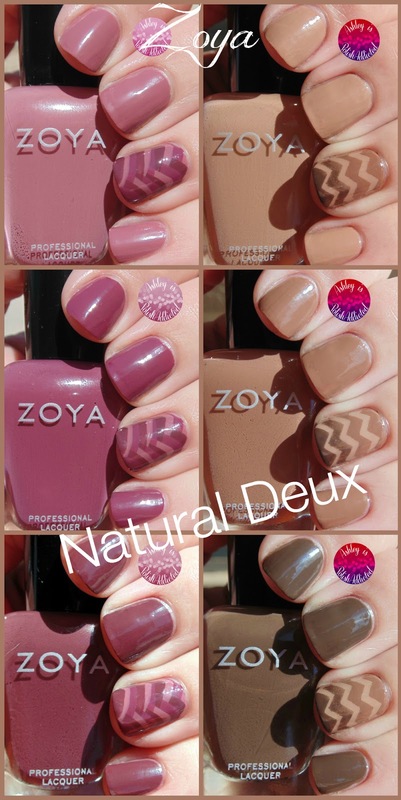 Zoya just released a brand new collection of gorgeous neutrals and I can't wait to show them to you. I love my cremes and Zoya does cremes so well!